Free payroll software calculates business payroll by multiplying employees’ pay rates by the hours worked per pay period and keeping track of employee deductions like workers’ compensation, insurance, and taxes. Some free payroll software offer features like direct deposit, but most lack tax filing and state compliance, which is why some businesses choose paid alternatives. While many of these free options are good for calculating basic payroll, they lack features that can streamline many other important and time-consuming functions of employee management. Gusto is an all-in-one solution for small businesses that combines payroll and HR features, including automatic tax payments and filings, easy self-onboarding for new hires, time tracking, leave and benefits management, and more. Try it free for 30 days. Payroll4Free.com (Best Overall) For small businesses; free if fewer than 25 employees (or contractors). HR.my Global companies that want payroll processing and HR features for free. TimeTrex Businesses with no more than 50 employees or 2 locations that want to track time and payroll. eSmart Paycheck Businesses that want to calculate one-off paychecks for free. Paycheck Manager Alternative to eSmart Paycheck for manual payroll processing. Wave Free forever for businesses needing to pay only 1099 contract workers. ExcelPayroll.org Businesses using Excel for bookkeeping and payroll. When you search for “free” payroll software, what you’ll often find is software that has a free trial, not software that’s free to use forever. We consider that a marketing ploy. Instead, we wanted to provide you with software options that you could use for a longer time period (at least six months) for free, or software that is free forever, even if it requires you to manage tax filings yourself. If you’re looking for software that has more options than free software can provide, such as mobile apps, built-in accounting software integrations, or the ability to add employee benefits, consider reading our Best Payroll Software buyer’s guide. Price – Free forever, and/or free for a limited number of employees or for a longer time frame. We excluded those that offer less than a six-month free trial. Ease of use – Easy for a non-accountant to input earnings and deductions. Some are a bit more complex as they require you to input tax rates yourself. Security – Payroll software that secures your confidential banking and employee data. Legal and tax compliance – Federal and state tax calculations for correct deductions, and unique state laws like overtime, sick leave, and pay stub requirements can be added. Payment methods – Cash, payroll checks, direct deposit, or bank card options. Customer support – Resources to get support via email, phone, online chat, or through self-help user guides, blogs, or community forums. Using the criteria above, and the fact that it’s free forever if you have fewer than 25 employees, we recommend Payroll4Free.com as the best overall free payroll software for small business. If you’re looking for alternatives to payroll software free that provide more features, such as new hire filing for the state, both W-2 and 1099-MISC tax processing, employee benefits, garnishments, or an online portal for your team, consider jumping ahead to the best payroll alternatives; most are low-cost, offer free trials, or are free in certain geographies. We recommend Payroll4Free.com to businesses on a budget because you get full payroll functionality for free. It’s available in all 50 states and you have the ability to pay employees with direct deposit or with paper checks. Payroll4Free.com will calculate all of your tax liabilities and give you pre-populated forms to submit to the government, including W2s and 1099s. Payroll4Free.com costs nothing if you have 25 or fewer employees. Once you exceed 25 employees, it costs $35 per payroll run and the price goes up as your business grows or you add on services. If you pay annually, you can get a 20% discount. To keep their payroll software free, they place small banner ads in the web-based software. They have paid add-ons, like direct deposit and tax services, that start at $12.50 per month. In addition to processing payroll, Payroll4Free.com can help you find a worker’s compensation policy at no extra charge; you’ll be able to pay for it through the program. You can even manage paid time off (PTO) with accrued vacation balances in Payroll4Free.com. And Payroll4Free.com provides your employees with an online portal to view their pay stubs and tax forms. Payroll4Free.com lets you input employee hours worked, earnings and deductions, and determines the tax withholdings needed based on the states your employees work in. You can pay employees with a paper check or set them up for direct deposit by inputting each employee’s bank account information. Deductions like 401(k) and garnishments can be included too. Payroll4Free.com will calculate the taxes you need to withhold and pay. But unless you upgrade, they won’t pay the taxes for you. That means you’ll need to create accounts in your accounting software and make sure you file your quarterly and annual taxes on-time for each state your employees work in. Payroll4Free.com integrates with QuickBooks, and you can import your time clock data from any system that provides an export file. In addition, Payroll4Free.com has extensive reporting options. Payroll4Free.com offers unlimited customer support, even to free software users. You can contact them by phone, email, or directly from their website. For free payroll software, Payroll4Free.com isn’t missing much. In fact, clients rave about the service. Of course, it doesn’t file your taxes free or provide year-end W2s and 1099s free, but neither do any of the other free payroll software options. Small business users like the cost (free) and customer service, although one user commented that the free users aren’t necessarily the priority when paid users also need support. Others don’t like the complex setup process. Read our Payroll4Free.com Review for more information. You can get started on Payroll4Free.com by using your company name and email address or contacting them using the phone number available under the “Contact Us” menu item on their website. They’ll email you with instructions and request you complete and send them setup documents with your company and employee information. HR.my is a full HRMS system that’s free and includes payroll processing for clients across the globe. It’s the best free payroll software for businesses with international staff. HR.my has no limits on how many employees you have, and includes many important HR features that you may want as your business grows, including document workflow, time keeping, and leave management. HR.my is free forever, regardless of your company size or geographic location. It’s supported by crowdfunding. Similar to Payroll4Free.com, it also earns revenues by having on-screen ads. HR.my provides basic payroll and provides employees with a web account so that they can view their pay stubs (which HR.my refers to as pay slips). Salary changes are made in the salary adjustment feature, and you manually add deductions and bonuses. Once you set up (or import) a new employee and “invite” them to HR.my, they’ll get a welcome email to sign in. Setting up HR.my is not as easy for U.S.-based users as it doesn’t include tax tables for states and localities. You set up your earnings, deductions, pay cycles, and bank accounts manually. However, running payroll once you’ve set it up takes nothing more than the push of a button. Employees can be paid via cash, check, or bank deposit. There is no tax filing or U.S. labor law compliance built in. However, with HR.my, you can configure it to calculate overtime and sick leave. You can manually input federal, state, and local tax rates. And be sure to stay on top of employment law changes like sick leave, minimum wage, and overtime, as their free payroll software doesn’t have those rules build in. Data can be imported and exported in XLS or CSV format using HR.my. You can import your time clock data after formatting it to an international date format. There’s no user guide and support is online only. However, if you’re experienced with other payroll software, you’ll figure it out eventually. HR.my is highly configurable, but being based in Malaysia, it lacks the built-in U.S. labor law compliance of Payroll4Free.com, or of low-cost software like Gusto that can also provide employee benefits, for example. With HR.my, like most free payroll software, you have to manage and pay employee taxes, garnishments, and benefits yourself. And, with HR.my, if you have a question, your only support option is the online blog. Other than testimonials from overseas users of HR.my, who love having a free payroll option, we didn’t find many U.S. user reviews. One review site gave it four out of five stars. We don’t yet have a review of HR.my on our payroll reviews page. Signing up for HR.my requires you to input your email address, create a password, and select your home country, which can’t be changed after you create your account. You’ll then get an email confirmation and will have access to the system in minutes. We recommend TimeTrex as the best free payroll software for businesses that schedule and track time of hourly workers because it integrates timekeeping into its payroll software. TimeTrex offers an open source community edition of their Workforce Management software that includes scheduling, attendance tracking, payroll, and HR management. It works through a web browser, and is supported by a network of volunteers worldwide. The community edition of TimeTrex is free. Paid packages with additional features like a mobile app, job costing, expense tracking, and recruitment start at $30 per month for up to ten employees. To get a price for your business, you’ll need to fill out a quote form with information about your company size and industry, and subject yourself to a sales pitch. TimeTrex offers features on par with Payroll4Free.com, but adds time and attendance features as well. The reason it didn’t make the top of the list is that it can’t file taxes for you (even if you pay extra) like Payroll4Free.com, and won’t have updated labor law compliance for state and local regulations in the U.S. However it does provide common U.S. and Canadian tax forms. Payroll processing is easy with TimeTrex because you won’t have to re-key your employees’ work hours. In addition, payroll is run via a click of the button, and payroll deductions like tax withholdings are calculated for you. You can also set up any custom deductions, and pay employees via check or direct deposit. No automated payroll tax filing is provided for you, and the software is not guaranteed to be compliant with labor laws, such as what to include on a pay stub and sick leave requirements that vary by state. Tax reports are provided, and TimeTrex integrates with other payroll providers like ADP, which makes it nice if you later want to upgrade to paid software to get more compliance benefits and automated tax filings. You can also import and export data using a CSV file format. Support for the community edition of TimeTrex is done through their support forum, which is sorted into topics such as Installation Help, FAQs, and Feature Requests. If your question isn’t resolved, they’ll suggest you purchase a support package. Paid packages provide email support only, unless you purchase phone support by the hour. Unlike Payroll4Free.com, TimeTrex doesn’t automate tax filings and payments to your 401(k), benefits providers, or other third parties. And like HR.my, free support is available online only. The paid versions of TimeTrex have nice reviews in the four to five out of five-star range. However, the community edition isn’t rated as highly, and there are few reviews overall. To sign up for the community edition, you have to download the software either as a cloud-hosted option or onsite via your web server. No credit card is required. If all you need is a way to calculate a one-off check, that service is completely free. You simply input data like the tax year, state, earnings, and deductions, and a pay stub is provided. eSmart Paycheck used to have a forever free plan for their payroll software as well. However, their free plan now lasts for only three months. If you choose to only use the paycheck calculation feature, that’s always free. After that, you’ll pay a small annual fee that starts at $50 per year for every five employees (for example, 20 employees would cost $200 per year). Like Payroll4Free.com, they’ll provide tax deposits and e-filing for a small fee, e.g., federal tax filings and forms costs $2 to $25 per year. eSmart Paycheck allows you to run payroll anytime. It is tax compliant in the U.S., and if you upgrade to the payroll subscription, you can get tax filings and year-end tax documents. It also can manage 1099 payments for independent contractors. The payroll processing is done by entering data for each employee and then pressing a button to process the net pay. Or you can process all employees at once using the Payday Wizard. However, the only payment options are cash or check. To print the checks, you’ll need a laser printer and three-part check stock that matches their layout. The free payroll calculator includes tax tables and compliance so that your federal and state calculations will be correct. However, local tax rates and your unemployment rates aren’t included, and you’re on your own for tax filing. If you upgrade to a paid plan, you’ll have the option for state and federal tax filing and e-filing where available. No reports are available in the free paycheck calculator. Standard payroll tax reports are provided and you can export data to a CSV file format in the paid plan only, which is available for a three-month trial period. Support is provided by phone, fax, mail, and email. You can find this information under the “Contact” menu tab on their website. The free calculator doesn’t save the data you entered after you leave the browser. Even if you upgrade to a paid package after your three-month trial, they don’t provide direct deposit. Third-party websites give eSmart Paycheck four out of five stars. We don’t yet have any eSmart Paycheck reviews on our reviews page. You can go to the eSmart Paycheck website and choose from their free payroll calculator by selecting “start now,” or you can sign up for their payroll product (free for three months) by choosing “Register” from the upper right-hand side of the menu. Paycheck Manager, like eSmart Paycheck, provides its paycheck calculation service for free, making it fine for one-off paycheck processing. It’s easy to use and allows you to calculate paychecks on the fly. This is great if you don’t run payroll often, or your business needs to pay one or two people seasonally. It can also be used for any business in a state that requires immediate payroll processing with a paycheck provided to employees who are terminated. Using the Paycheck Manager payroll software free calculator is free for one-at-a-time paycheck calculations—as many as you want. They also offer a three-month trial on their Basic Service, which costs $5 per month per employee (you file your own taxes), or their Managed Service, which costs $12 per month per employee plus a $10 setup fee that files taxes for you. The free Paycheck Manager calculator works much like eSmart Paycheck. You choose the tax year and state, and manually input data into each field. Adding earnings and deductions is easy, and if you register for a paid plan, they’ll save the paycheck data. Otherwise, the data will disappear as soon as you close your browser. Using the free calculator, you manually input data (which is time-consuming if you have more than one employee). You’ll have to determine your own unemployment insurance deductions (if required) and local tax rates as well—just like eSmart Paycheck. To manage a large number of employees, it would be much easier to use a cloud-based small business payroll software like Gusto. In fact, Gusto allows you to input timekeeping data from Homebase, which is free. It also provides employee onboarding, health insurance, and an employee dashboard for one low price. You can try Gusto free for 30 days. Federal and state tax compliance are included, but local taxes, unemployment insurance, and labor laws are not. No reports are available in the free payroll calculator tool. If you upgrade to a paid version of the software, you can export paycheck data to a CSV file and get basic tax reporting. You can obtain support from Paycheck Manager via email, phone, fax, or mail. They also have a searchable blog and FAQs on their website. Paycheck Manager is missing the same things that eSmart Paycheck lacks. If you use the free calculator, your data isn’t saved. Even if you upgrade to the Basic package, you have to file your own taxes, and local tax tables aren’t included. Other than our own, we found few reviews on Paycheck Manager. We therefore suggest the best option is to try the service free to see how you like it before committing to an agreement. Or use the online payroll calculator free. Read more in our Paycheck Manager Review. The easiest way to get started is to pull up the Paycheck Manager page and start entering data for a paycheck. You’ll quickly get a feel for how easy it is to use, and can decide, once you’ve entered some data, whether you want to sign up for a three-month trial or not. Wave is the best free payroll software for paying contract employees if your business is in need of a full accounting software solution also. That’s because Wave accounting software is free, and includes 1099 payment processing. If you want to add on employee payroll, it’s not much extra, and can it can provide tax filing in a few states. Wave accounting software is free and can be used to track payments to independent contractor workers with a 1099-Misc. They charge for bank payments, credit card processing, and payroll, starting at $20 per month plus $4 per active employee. And if your business has employees in California, Florida, Illinois, New York, Texas, or Washington, they can file state taxes too—for $15 per month extra. If you’re only using Wave to process 1099 payments, it’s as easy as inputting the name of the account payable (the contractor name) and payment information, similar to any other accounting software. You can pay contractors with cash, check, debit card, or even through PayPal. Otherwise, there’s no formal payroll processing needed, as you’re not required to take deductions for independent contract workers. Wave accounting software supports 1099-Misc, but offers no labor law compliance unless you upgrade to the Payroll software. Through Zapier, Wave can integrate with over 1,000 other business apps. They offer about a dozen standard reports. Wave provides a blog, a community, and a help center. Otherwise, to get help, you have to first choose a topic, like payroll, before you then enter additional information into the help center online request form. The big thing Wave is missing is free payroll processing for W-2 employees, which is the kind of worker that most small businesses hire. But if you’re only paying contract employee with a 1099-Misc, Wave is a great free option. And when you’re ready to add direct hire employees, you can add on Wave’s payroll service integrating your payroll and accounting data in one system. Wave earns 4 to 4.5 stars on third-party websites, although our small business users give Wave apps and Wave payroll software only three to four stars. The biggest complaints are about it being slow and about their customer service being slow too. To sign up for Wave, you can input your email address and create a password, or you can sign up with your Google login ID. There’s no cost to use the software. Sign up now to start paying your contract workers with Wave for free. ExcelPayroll.org is free payroll processing software that uses an Excel worksheet to manage your payroll. If you’re already using Excel, and you’re pretty savvy with its features, this software saves you from having to create your own payroll software. After keying in your employees, earnings, and deductions, you can run your calculations. That’s easier than manually keying in paycheck data into a calculator each pay period, but not as easy as using free or paid software that assists you with the setup. ExcelPayoll.org is free. There’s no monthly fee, no payroll fee, and no download fee. However, you’ll want to pay close attention to the download instructions, as all but one of the files are locked with a password. ExcelPayroll.org provides a spreadsheet-based software to manage your payroll process. It can do earnings and deductions and can calculate overtime as well as vacation accruals. It can also generate accounting entries for you to import into your accounting software. ExcelPayoll.org lets you set up payroll processing on any cycle you like. You simply enter the data and run your calculations. 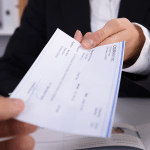 You can then print checks using your own laser printer and valid bank check paper stock. Data is stored in the spreadsheet if you want to reference it later. You will have to manually ensure that you are compliant with federal, state, and local taxes as well as all labor laws, such as sick leave and overtime laws, for any states in which you do business. Data can be imported and exported in any format that Excel accepts, such as CSV and XLS. In addition, tax compliance and workers’ compensation reports are available. Customer support is available via email only. They provide instructions on their home page. ExcelPayroll.org isn’t a great option if you’re not familiar with spreadsheets, as it relies on accurate data entry and understanding of how Excel works. And it’s not best if you have 50 or more employees, as there’s no ACA compliance options (although you may be able to program them in). Further, their website is not an HTTPS, so you’re taking a chance downloading it (as you may be whenever downloading from any non-secure website). The users who use it like it and like that’s it’s free. But there are many who find the download process frustrating, or who try to open the wrong (password protected) files. To get ExcelPayroll.org’s free download, you can go to their website and follow the instructions, which will require you to unzip four files. Most importantly, scroll down on the left-hand side of the website home page screen and read the instructions they provide. Without that, you may find yourself unable to use the files, or may find that it doesn’t calculate correctly. Payroll software free versions can help with simple payroll. But free payroll software doesn’t always have all the features you want, especially as your company grows larger. If you need other payroll functions such as direct deposits, time card integration, and automatic tax filing, it’s worth investing in a paid platform that can handle those tasks. Gusto is payroll processing software that helps small businesses streamline their payroll, track worked hours, manage employee benefits, and automatically calculate and file payroll taxes. Gusto also offers employee self-onboarding and payments via direct deposit, and generates year-end W-2s and 1099s. Plus, it’s super-intuitive for you and your employees to use. Gusto also offers a Concierge package with dedicated HR support, including unlimited access to certified HR professionals ($149 per month + $12 per month per employee). That’s a great alternative to hiring a full HR person at $50,000 per year or more. While Gusto’s Core package is one of the most affordable payroll solutions available ($39 per month + $6 per month per employee), you really need to sign up for the Complete package ($39 per month + $12 per month per employee) to get some of the best features, including employee self-onboarding, PTO management, org chart, and an employee directory. Check out our Gusto payroll review. Getting started with Gusto is easy. On their website, you input your first and last name and email address, and then start your 30-day free trial. If you choose to purchase Gusto, your data will remain with your account and your first month is free. Square, the company that has revolutionized payment processing for small merchants, also offers payroll. You can use Square to track employee hours and pay them with direct deposit. So if you already use Square for your POS, then adding payroll makes sense. In addition, Square manages all state and federal taxes and new hire reporting—including year-end W2s and state tax forms, whereas with Intuit and most of the free payroll software, you would have to prepare tax forms on your own. The only real downside to Square Payroll is that they’re currently only available in 32 states. They’re more expensive than Intuit QuickBooks payroll, and they don’t provide benefits insurance offerings like Gusto does. Check out our Square payroll review. If you’re already using Square POS, you can add the payroll option directly from their website. If you’re a first-time buyer of Square, you’ll input your email address on their site, and they’ll contact you to get set up by adding your business information and team member data. Get a free trial. 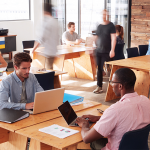 A leading name in the payroll provider space, ADP offers a variety of payroll and tax services for small businesses, including online payroll processing, healthcare benefits management, and tax compliance—much like Gusto. ADP lets you run payroll online by phone or via a mobile app, calculates and pays payroll taxes automatically, and offers 24/7 access to experienced payroll professionals. One drawback is that ADP charges per pay period, as compared to Gusto, which charges per month regardless of your pay schedule. Pricing is also confusing, and you will have to request a quote directly from ADP. However, once you speak to a representative, you can easily negotiate for competitive pricing and waiving of the setup fee. Check out our full ADP payroll review. ADP doesn’t provide their pricing online, so you’ll have to go to the website and input your email address along with the size of your company. You can then start a quote and will receive a sales call from one of their representatives, who can match you with the correct payroll product. At the time of this article, ADP was offering a two-month free trial. Most of the free payroll software options in this article have limitations that can be problematic for small businesses that don’t have a full-time HR employee or payroll expert. Don’t forget to read all our payroll software reviews if you’re shopping for a robust, small business payroll software solution that does more. If you haven’t guessed by now, we really like Gusto as an affordable, all-in-one payroll and HR solution for small businesses. Gusto allows you to run payroll in minutes, automatically calculates and files payroll taxes, and lets employees self-onboard; it manage direct deposits, benefits, and more. Try Gusto for free. Payroll4Free do not have a user friendly site. Their tutorial are not up to date and has no clarity and hard to understand. They will refer you to you-tube on how to add an employee but has directions on any real how to do anything on their website. How to run and print reports, how to get the tax forms etc. You have to call or email and do expect a response with 24 to 48 hours. this info is very helpful for our readers to know. Have any one tried Paycheck Manager? Why is it so much cheaper than others? I only need to pay my nanny, but hesitate to use this website. Paycheck Manager would actually be an ideal solution because there’s no sign-up or registration process required; it’s simply an online tool that helps you calculate taxes and deductions. They offer it free with the hopes you’ll pay $5/month extra to track year-end payroll taxes. However, as long as you track these in a separate document, and remember your employer tax obligations, you should be fine. Based on your recommendation that I read here, I tried to enroll in this Payroll4Free program, but I think you should also mention that they do have an elaborate process that one needs to follow before it actually becomes effective. To give you an example, I first have to register. Then someone called me to do a phone interview. Then I received an email from them to give out the personal information of the one employee that I have, in addition to my own personal employer information. All I needed was a simple too to use to pay and track the wages of my housekeeper. I decided against it. Since my last comment above, I have found an excel program for payroll that is unbelievable and free. I have downloaded the program and it fulfill my needs plus more. This thing not only does your current payroll, but it actually saves your YTD earnings which is good for the year end reporting. You can do your 940 941 and W2. I look forward to reading your review on this free payroll program. Sounds cool! I downloaded it, and I found it to be password protected. Is there anything to do? Sorry, I am just coming back to this site so late. If it is password protected, it is because you were trying to open the wrong file. Read my note on the top to see the errors that most people make. Payroll4Free is no longer free. They charge a $50 initiation fee plus $10 per month per employee for direct deposit services. They also no longer offer free tax form completion. So now it’s Payroll4notfree. Hi Greg, I’m surprised to hear this. I’ll look into this and report back when I find what’s up. Based on what we heard from a Payroll4Free representative, there is not any initiation fee. There are optional fees for direct deposit & tax form completion (which we had outlined in our review above), but payroll for under 25 employees is completely free w/ no initiation fee. It sounds like that fee is specifically for direct deposit, as opposed to their payroll software. I still don’t see any mention of a $50 activation or reactivation fee for direct deposit on the Payroll4Free website. Is it possible that fee is being passed on from the bank?